The guest books can be used for several purposes. This can be mainly used in the restaurants and hotels. The Guest Book Templates are designed for the creative manner with the attractive contents. These types of Guest Books are used for the weddings, funeral and other forms. The perfect guest books are created for using these templates. 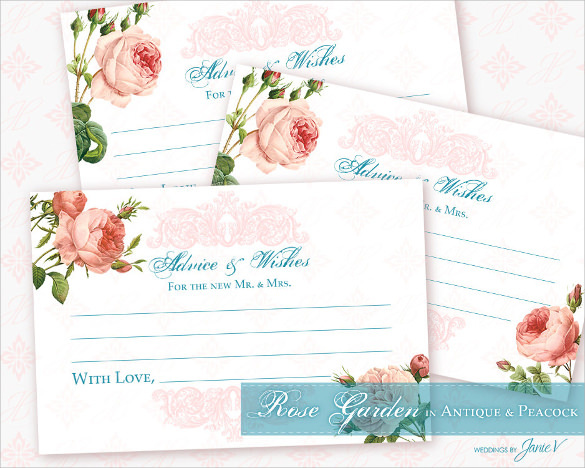 The Guest Book Templates are available in the PSD, Excel and Word formats and you can download these templates freely. These templates help to create the professional and modern guest book. This can include the creative contents with perfect format. Children birthday parties are attended by friends and family members of the birthday boy or girl. To manage the buzzling crowd, maintain a guest book that gives the required space to enlist guest details and features funny sketches or images of characters adored by the little ones. This template allows you to print individual cards for each guest or family. With 6*4 dimensions and colorful themes to apply, this one can be customized with great ease and is supplemented with trim marks to give perfect the perfect print. To keep a count on the guests attending a wedding event, use this template that is well organized and flaunts a classy layout. The spiral bound 20 paged book template can be easily edited with respect to its color, front page designs and number of pages. This simple yet sophisticated template can feature a photograph of the event’s host along with space allotted to mention name and other details of the guest. The designs, colors and icons can be changed easily. Choose your print dimensions according to the expected guest strength. 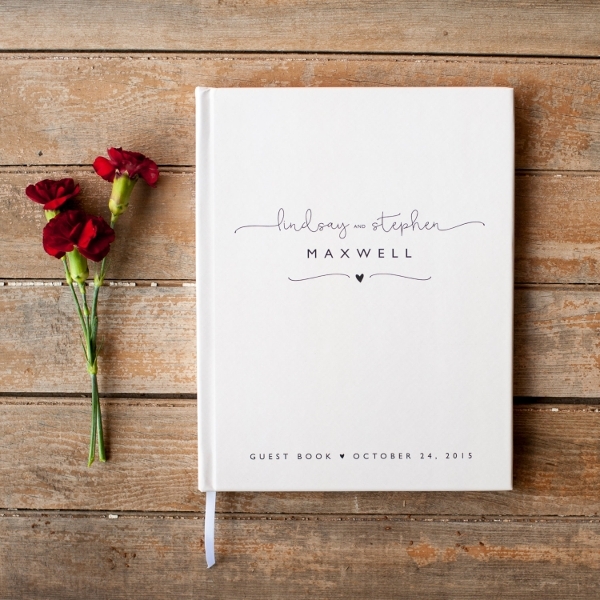 When To Use The Guest Book Template? While organizing an event, it is very important to maintain a record of the guests attending the program. The details include names, address or contact information of each guest arriving. While this can be done even on a piece of paper, the guest book template, that can be customized according to the type of event, takes care of keeping the list organized as well appealing to your taste. 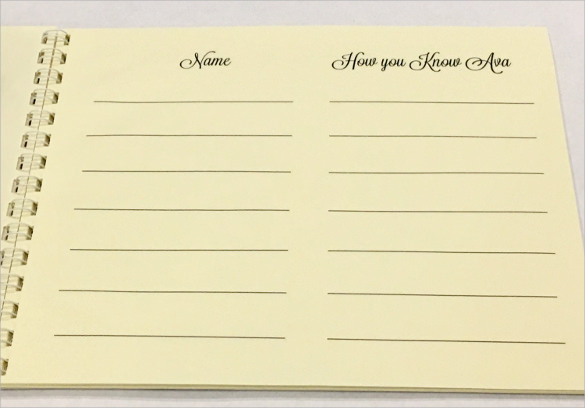 It comes in handy when a grand reunion is scheduled within a short notice and you need to jot down names of invitees who are expected to show up for it. You may like Coupon Books. Who Can Use The Guest Book Template? Marriage anniversaries, birthdays, family reunions are annual events that bring many people together for celebrations that are held in banquet halls, or resorts or guesthouses. For people hosting such grand parties, it becomes difficult to keep a track of the guests attending the event. They can make use of this template for this purpose. In hotels with more than one party hall housing different programs, the event coordinator needs to greet new arrivals and take in their details, such personnel can make good use of this template. 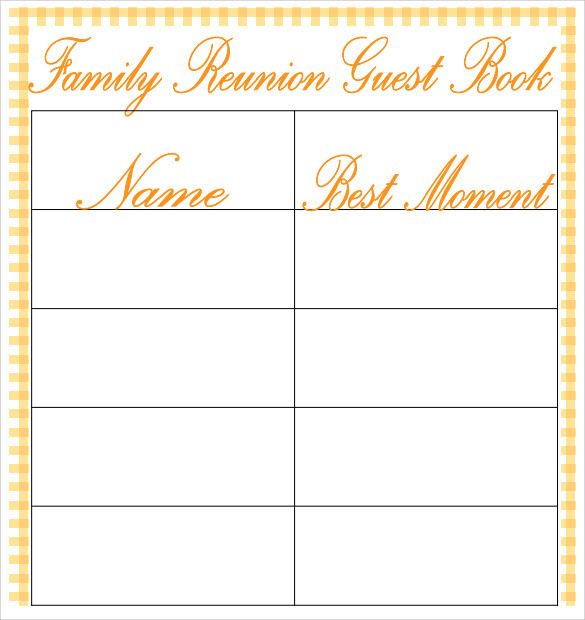 Basically this guest book template can be used by anyone or any organization playing host to an ocean of visitors. 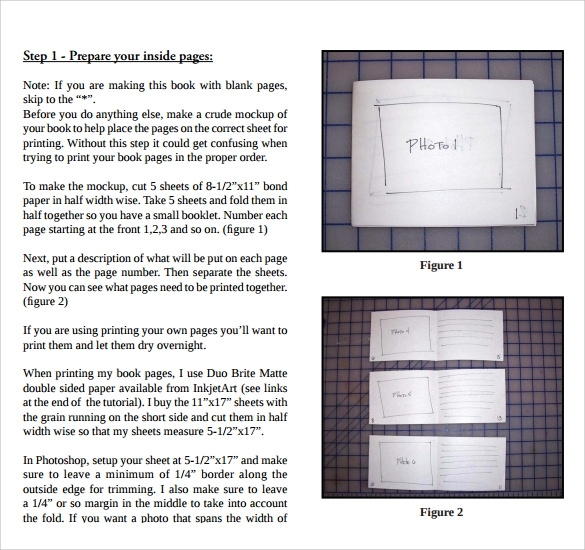 Why Should Use The Guest Book Template? 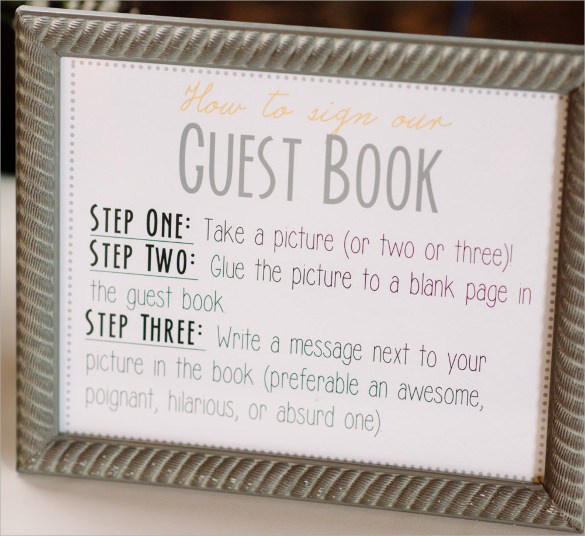 Making your own guest book can be rewarding and tiresome as well. Manually drawing an index, or designing the pages individually can be hectic with so much organizing work to look after. 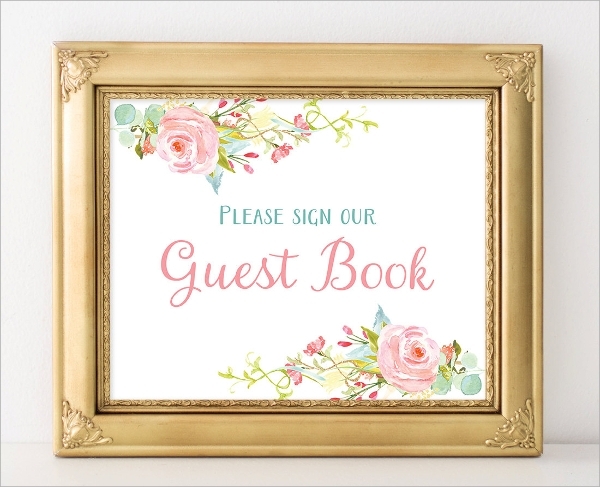 Thus comes in the need to pick up a suitable guest book template to make your task easier. You can also see Address Books. This template is MS word and PDF compatible and is available in various color combinations. It offers different font styles for headlines and main content, features appropriate space for photographic illustrations and gives an overall elegant look. 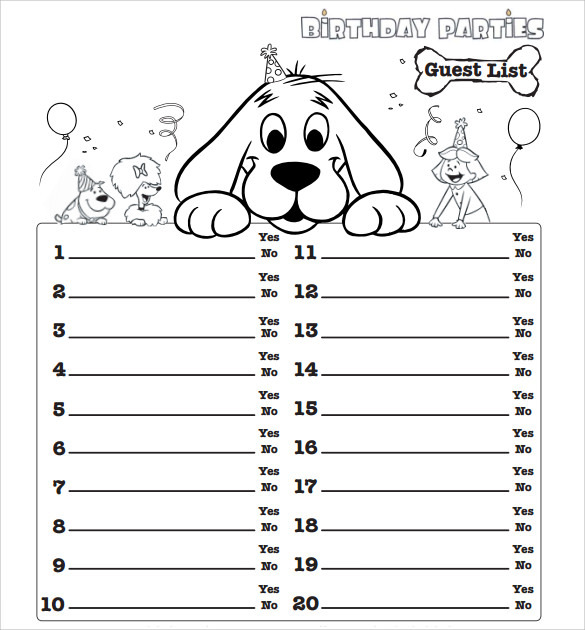 Print in multiple copies or increase number of pages in a guest book to fit an entire list of guests enjoying your party. These guest book templates help all kinds of business who deal with hospitality or security management systems. Compatible on most of the platforms, these templates are user friendly and easy to edit.